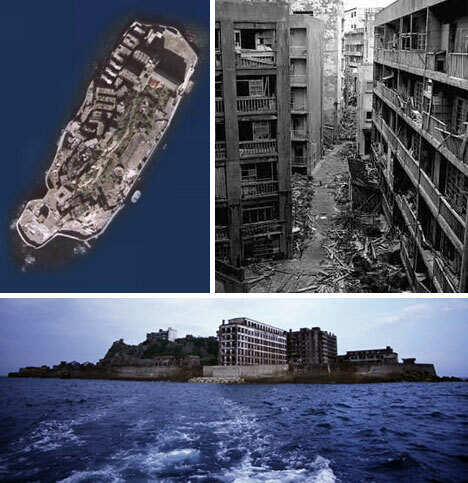 Hashima is one of the most remarkable of a series of hundreds of deserted Japanese islands. Once a thriving coal-mining city its population density grew to be the highest on the planet, with workers crammed vertically in ever-growing buildings and walked daily through ever-narrowing streets. Following a drop in coal production the entirely island amazingly shut down though most of its structures still stand. Currently the island is being renovated to create safe tourist paths through the rubble and tilting buildings but for now daring (and illegal) exploration is possible only by hiring a willing private boat driver to take a look.